On the afternoon of Dec. 17, longtime Seattle PI columnist Joel Connelly published an article claiming that the Spokane Valley City Council will vote on a proposal from several regional conservative state lawmakers to split the state of Washington. 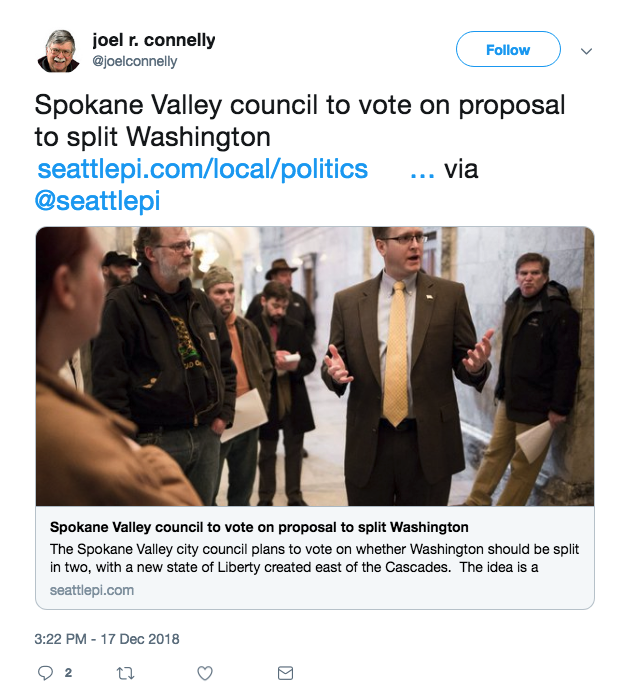 The piece ran under the headline: "Spokane Valley Council to vote on proposal to split Washington." The thing is, the Spokane Valley City Council isn't planning to vote on such a plan. Additionally, Connelly asserts in the piece that the Spokane Valley City Council "wants its staff to evaluate" whether Eastern Washington and Spokane contribute more in state tax dollars than they receive relative to Western Washington before voting on the 51st state proposal. However, Annie Gannon, a spokesperson for the city of Spokane Valley, tells the Inlander that this is also inaccurate. "I’m still just trying to figure out where it [Connelly's angle] came from," Gannon says. Attempts by this reporter to reach Connelly and other PI staff were initially unsuccessful, and Connelly's article was still online without any corrections on Tuesday but taken down by late afternoon. The article was eventually reposted with a correction, and Connelly himself published an apology note. 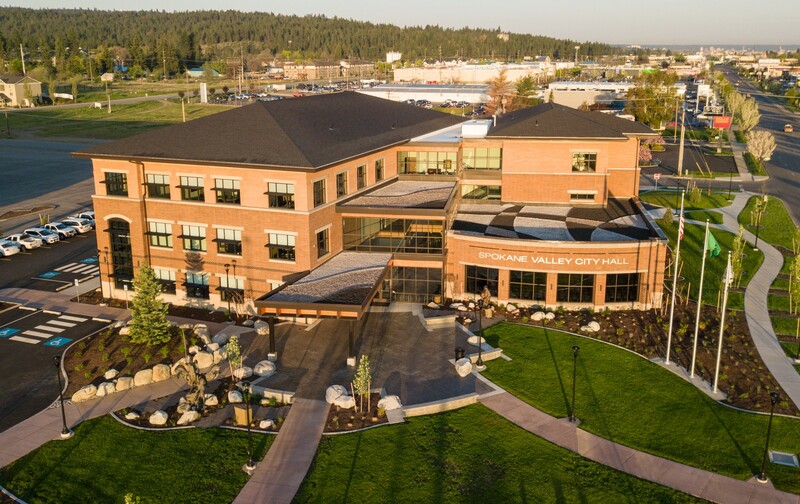 And the Spokane Valley City Council did consider weighing in on a specific proposal to split the state from three Republican state lawmakers — including Shea and Rep. Bob McCaslin of Spokane Valley — back in 2016, but never followed through with the vote. However, Shea's coziness with the fringes of conservative American politics and the Spokane Valley City Council's prior willingness to weigh in on the idea of creating a 51st state back in 2016 are as far as the facts go on this matter. It appears that Connelly cribbed information from a 2016 Spokesman-Review story covering the Spokane Valley City Council's interest in the 51st state plan and got the date wrong. In his apology note, he admitted as much: "Eager to research and catch up on Shea controversies, I failed to check on the dates of the articles: News from 2016 was given a 2018 dateline," Connelly writes. This post has been updated to reflect the apology note posted by Connelly and the correction added to his original story.